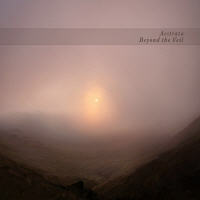 "Beyond the Veil" is the new album by Aestrata, a project based on the title of our most successful album - "Aestrata" by Tomas Weiss & Mathias Grassow. As we received a lot of responses for the old album (now repressed for the 2nd time), we decided to move the "Aestrata" title into a whole new project name. This project retains the same strong depths and feelings found on the 2009 album, specializing in vast atmospheres and complex harmonic layers. "My first album by Tomas Weiss and Mathias Grassow, "Aestrata" (produced in 2010) significantly altered my musical preferences. The perfectly harmonious collaboration of these two ingenious experimentalists could indeed have been a stand-alone project but, instead, a sequel has been released. This new album was born with the name "Beyond the Veil" and it was released under the project title "Aestrata". Since Tomas made an announcement on his website about his desire to create a new album in the tradition of its predecessor, I must admit this was an event for me that I awaited with great anticipation. As soon as I received it, it was with great emotion that I finally discovered the beauty of this album. From the outset, one feels the expansiveness of "Beyond the Veil". This creation easily leads us to where the subconscious wishes to take oneself, saying "Journey as you wish!". There is no limit to the equations of sound and thought.